Author Steve Marantz talks about his book, "Next Up at Fenway: A Story of High School, Hope and Lindos Suenos"
Former Boston Globe reporter Steve Marantzâ€™s new book about a former baseball player at Fenway High called Next Up at Fenway: A Story of High School, Hope and Lindos Suenos was published earlier this month. JAR: Can you give me a quick summary of the book? 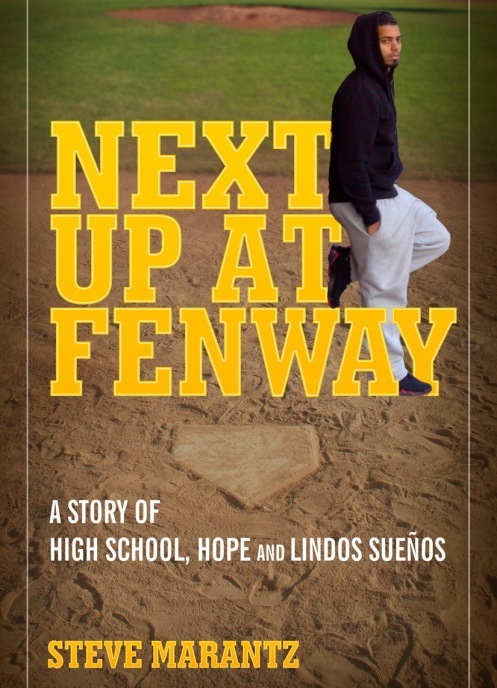 SM: "Next Up at Fenway" is the story of Fenway High, located next to the ballpark, and Marcos Baez, a kid from the Mission Main projects who went to the school. Fenway High is one of the gems of the Boston public schools, recognized for its success with Latino students. Marcos loved baseball and he hoped Fenway High would help him toward a career in baseball. But Fenway did what it does best -- turned Marcos into a student. On the back cover, the summary is this: "Marcos Baez had many loves. First was his mother. Next came baseball. Reggaeton and bachata. A girl stole his heart. Then he realized a love greater still. Learning." JAR: Can you tell me a bit more about Marcos and why you chose to follow him and his story? SM: Marcos had an unusually articulate and sensitive writing voice. His written assignments, and his college essay, drew my attention. When I met him, he was comfortable talking about his classroom work, his life at Fenway High, his aspirations, and his perspective as a teenager and a Latino. Both he and his mother seemed interested in my project, and wanted to share their stories. JAR: What was it about Fenway High that attracted you? Why did you think they had a story to tell? SM: How many high schools are next to a major league ballpark, let alone one as iconic as Fenway Park? There had to be a story at Fenway High. I knew it had a solid academic reputation. That was important. I did not want to write about an underperforming school -- what's the point? JAR: How did you get unlimited access to the school? How did you build rapport with students, staff and most importantly parents? SM: Access was granted by headmaster Peggy Kemp. I laid out my proposal and she accepted it, perhaps because she felt Fenway High's success had been overlooked, or underappreciated. Rapport was built by spending time at the school, in the classrooms and assemblies, and getting to know teachers and students, day by day. My work with ESPN did not permit me to be at Fenway on a daily basis, but I tried to be there at least two days a week. JAR: What were you surprised to learn about the school and its community once you got in there and started reporting? SM: Fenway High operates on the "Essential" school model, developed in the 1980s by former Harvard educator Theodore Sizer. The "Essential" philosophy was new to me. The curriculum is deep rather than broad. Teachers don't lecture so much as they coach. Sizer stressed that teachers express, in deed and tone, the values of trust, fairness, generosity and tolerance. He believed that character could be taught as a kind of non-cognitive intelligence equal in value to cognitive skills. Latino students thrive at Fenway because it has a kind of family closeness that they value at home. JAR: What is the relationship between the school and the Red Sox? SM: The Sox Foundation chose Marcos for its summer Lindos Suenos program, which pairs up 10 American kids with 10 Dominican kids at the Sox academy in the D.R. Marcos loved it and used the experience to write his college essay. Marcos also did a "job shadow" at the office of the Red Sox Foundation. A few Fenway High kids have been chosen for the Red Sox Scholars program. The Sox Foundation gives $5,000 to the school foundation each year. And each spring the Sox send over about 200 bleacher tickets for a day game. But overall, the school would like more of a relationship -- particularly for its senior internships. JAR: What role does the baseball program play in the school's culture? SM: The Fenway baseball program is hugely popular with Latino students. They put up with a lot of inconvenience -- practices are a 30-minute bus ride to Dorchester -- but the kids do it because they love baseball. The girls' softball program also is popular; they play over at the Fens. JAR: Spoiler alert: What is Marcos doing now? Is he playing baseball? SM: Marcos is finishing up his sophomore year at Holy Cross. He tried out for the team and didn't make it But he knows there are a lot of jobs in baseball that don't involve playing. He loves the game. He could end up in the front office of some organization. Justin A. Rice covers Boston Public school athletics. He can be reached at jrice.globe@gmail.com. Follow him on Twitter @GlobeJustinRice or @BPSspts. Justin A. Rice -- A metro Detroit native, Rice is a Michigan State University (Go Spartans!) and Northeastern University graduate. Rice lives in the South End with his dog and wife, who unfortunately attended the University of Michigan ... his wife, that is. 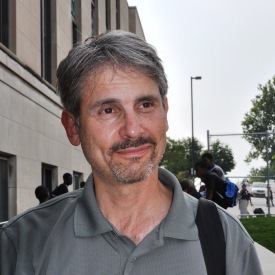 He curates the BPS Sports Blog and is always looking to write about city athletes with great stories. Have an idea? He can be reached at jrice.globe@gmail.com. Follow him on Twitter @GlobeJustinRice or @BPSspts. Ryan Butler -- A Rhode Island native and avid Boston sports fan, Butler played basketball, baseball and football throughout his time in Barrington Public Schools. Now currently in his middler year at Northeastern University, he joins Boston.com as a correspondent for the site's BPS coverage. Have a story idea? Contact him at butler.globe@gmail.com. Follow him on his Twitter @butler_globe. Also expect updates from Boston.com High School sports editor Zuri Berry and the Globe staff.